Whenever I’m invited to pre-going out cocktails before a night out with friends, I always bring something to offer to the drink menu. As I mentioned here, most of my friends tend to bring wine, but this year I plan on bringing something special to the table! Absolut Vodka has come out with a new limited edition bottle for the holiday season that I just couldn’t wait to get my hands on. 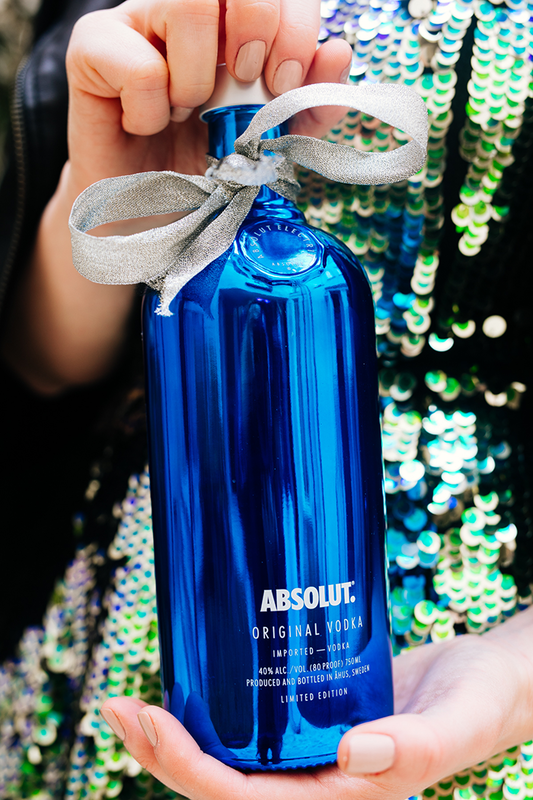 Featuring the same great taste you love, Absolut Electrik comes in TWO striking metallic bottles in silver and electric blue! They’re the ultimate party accessory and hostess gift for the holiday season, don’t you think? 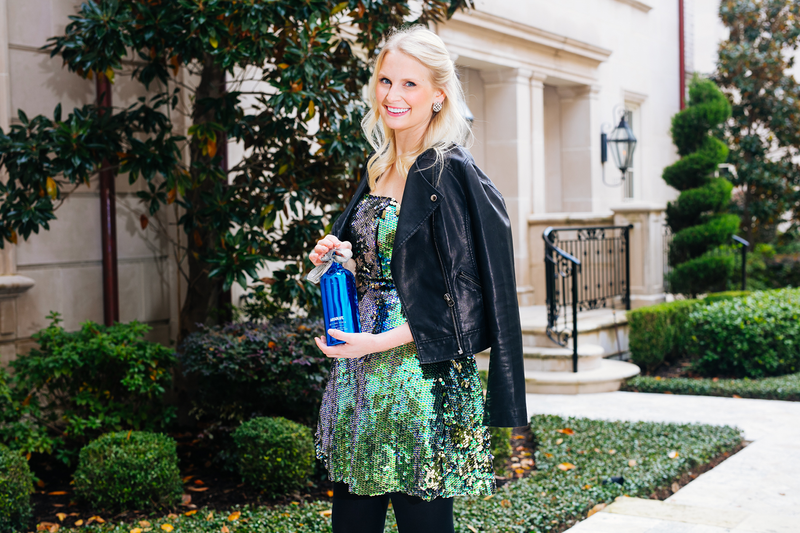 While I kept the silver bottle for my own little Christmas gathering a few weeks ago, I decided to bring this electric blue bottle to an upcoming New Year’s Eve celebration! 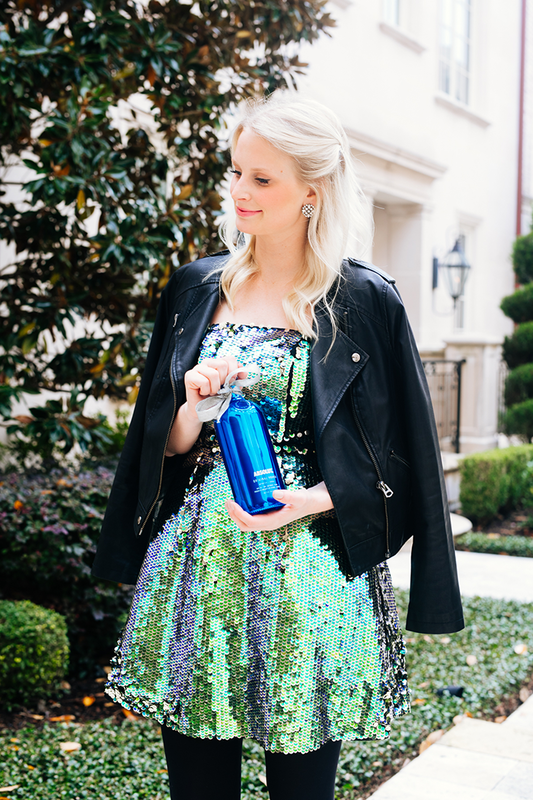 This particular bottle matches my dress perfectly – a match made in heaven. It’s going to be a hit! 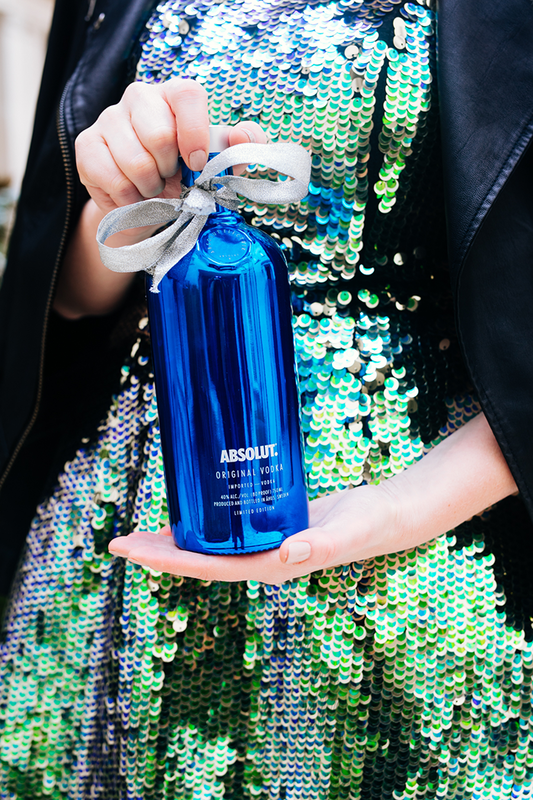 Don’t miss the opportunity to pick up your own bottles now through the end of the holiday season, and click here to learn more about Absolut Electrik! Oh heck yess to that dress! love it! That dress is so good! Love how you paired it with leather! Such a fun dress! Love how vibrant the sequins look! How fun is your dress?? Gorgeous! Looks so great styled with your moto jacket! Such a cute dress Merritt! !